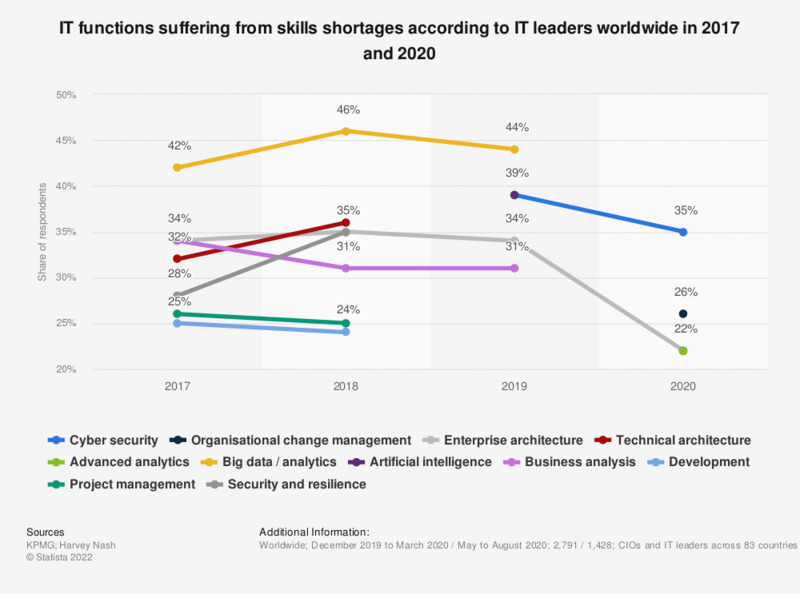 The statistic reveals the IT functions with the greatest skill shortages, according to chief information officers (CIOs) worldwide in 2017 and 2018. As of that time, 46 percent of respondents felt that big data and analytics functions were facing a skills shortage. The question was phrased by the source as follows: "Which functions do you feel suffer from a skills shortage?" Which person is responsible for your organization's digital strategy?